The self proclaimed "premier fishing venue in Yorkshire"
As the name suggests, the fishing lakes at Swillington Park are located close to Swillington in Leeds. The complex dates back to the 18th century, but don’t let that put you off, this is a modern day fishery and offers all of the standard amenities that you’d expect. 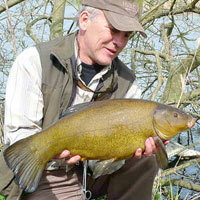 The venue claims it is the premier fishing venue in Yorkshire – quite a bold statement. Lake 1 – at just under an acre in size, this is a good water for pleasure fishing. There is a good head of carp that run into the mid teens. There are 25 pegs on this lake, perfect for anglers of all abilities. Lake 2 – this is an interesting lake, purely for the reason that carp aren’t necessarily the main focus. 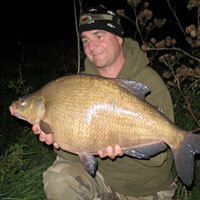 The water contains some solid numbers of bream and tench that go into double figures. There are plenty of fish holding features which are good areas to target. There are carp in here, up to the mid teens. This lake can accommodate up to 20 anglers. Lake 3 – a larger lake which is approx 2.5 acres in size, but with 25 pegs it means there is slightly more water to go at. The lake contains a mixture of coarse species including carp up to 20lbs. This lake is available to night fish. Lake 4 – a more specialist lake, there is a good head of big carp, some of which push the scales round close to the 30lbs mark. The lake is 2.5 acres in size, but only up to 15 anglers are allowed to fish the water at a time. Lake 5 – a match style snake style lake which is the most recent addition to the fishery. 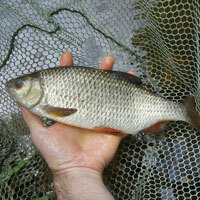 It is stocked with a wide range of species including barbel and ide. This is a good match lake. Something unique about the venue is that it closes through the deepest part of the winter. The fishery will be closed between December 1st to February 28th. This is something many other commercials should consider – fishing in a mud bath through the winter is not fun for anyone! There is a cafe on site which offers a range of food and drinks, this is open on Saturday and Sunday plus bank holidays. 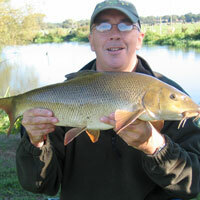 There is a range of different prices and options for the fishing at Swillington Park. There are numerous yearly membership options – more information can be found at the venue or by contacting them over the phone. Address: Coach Road, Swillington, Leeds, LS26 8QA.